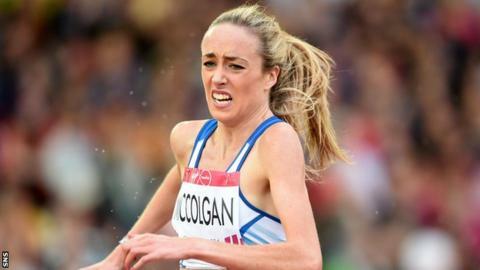 Scotland's Eilish McColgan has been granted National Lottery funding by British Athletics after successfully appealing against losing her subsidy. The 26-year-old, who reached the Olympic 5,000m final in Rio, has been added to the Olympic world-class performance programme (WCPP). British Athletics performance director Neil Black said she had presented a "very strong case for her inclusion". "Obviously I'm really happy that my appeal was successful," said McColgan. The Scot also had her funding cut for the 2015-16 season, and switched events from the steeplechase to 3,000m and 5,000m after breaking her ankle in January 2015. "I felt I did everything I could this year after injury and hit all the necessary criteria," she said. "It's nice for that to have been recognised. "I look forward to being a part of the programme and hope to continue improving in the 5,000m, which is still a new event for me, throughout the next year looking towards the London 2017 World Athletics Championships and beyond." British Athletics has now selected 15 athletes for its Olympic podium programme, and 30 for the Olympic podium potential programme. A further 26 athletes are included across the various Olympic WCPP relay squads. Funded by The National Lottery through UK Sport, WCPP selection is based on the potential to win medals at an Olympic or Paralympic Games, with special consideration given to the IAAF World Athletics Championships at London 2017. It is split into two levels: podium (for athletes with the potential to win medals at London 2017 and Tokyo 2020) and podium potential (for athletes developing towards the 2020 and 2024 Olympic Games).